The road kill between Wentworth and Broken Hill is up there with Tassie stats by the look of it…kangaroos, wallabies, goats and emus. 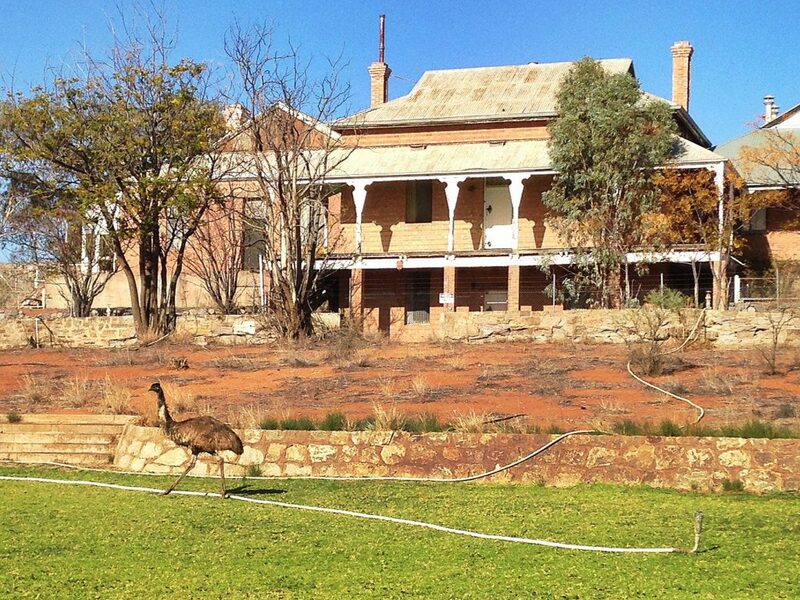 Photo of a survivor strutting in downtown Broken Hill beside this grand old building. Not sure what the building’s use once was….just wasting away?